H: 12’ in. x W: 8’ in. x D: 8’ in. 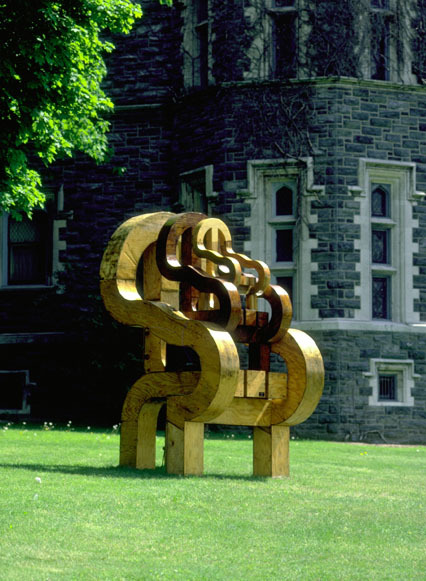 “Three Chairs” was sited on the grounds of Queens College as part of the “Ways of Wood” show. It was also installed at Beaver College in Philadelphia the following year, where this photograph was taken. The piece was intended as an imaginary vantage point. The intention was to push “furniture” into abstraction so that functional references would become secondary to the symbolic. It was reviewed in the New York Times.